100 companies across the public, non-profit and educational sectors. Dr. Regina Lewis leads and has alliances with worldwide organizations, specializing in leadership development and organizational communication. With clients ranging from Fortune 500 companies through not-for-profit agencies to educational institutions, Dr. Lewis’ proven specialty is leadership, professional excellence, culture inclusion, coaching, strategic development, and executive public speaking coaching. 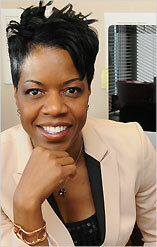 Regina is a consulting partner, national speaker, and director of ReginaSpeaking, LLC. Through this company, she has worked with clientele executives, groups, and organizations in Saudi Arabia, Lebanon, Korea, Japan, Germany, Ethiopia, and the United States. Dr. Lewis has presented and facilitated widely on topics of diversity and inclusion, cross-cultural leveraging, strategic planning, executive speaking, interpersonal communication, personal professional development, media & public relations, social media communication, understanding and climbing out of poverty, and retention. Dr. Lewis is the department chair and instructor of Communication and the director of the Women’s Forum at Pikes Peak Community College; at the University of Colorado at Colorado Springs, she is an adjunct professor of Freshmen Seminar, and an executive coach for the Center for Creative Leadership. Regina holds a Doctorate in Educational Leadership, Research and Policy, a Master of Arts in Communication, a Bachelor of Arts in Communication, and a Bachelor of Arts in Psychology. She is also certified in the utilization of an array of assessment tools, to include (LM360, Firo Business, Workplace Big 5, and Emotional Intelligence). Additionally, Dr. Lewis is a certified trainer of Bridges Out of Poverty, College Achievement Alliance, as well as a national presenter for TeamUP Cengage Learning. With focus areas of diversity, leadership, preparedness of future leaders, and instructional delivery platforms online, Regina is published in edited books, journals, and higher educational textbooks. Additionally, Regina has presented her research and conducted workshop internationally and nationally. In a volatile and complex world that is, nonetheless, small enough to fit, in its entirety, inside your smart phone, the value of communalism and true diversity—as opposed to simple tolerance and inclusiveness—becomes evident. Social and business relationships can begin and end with a single tweet or blog posting made in haste, in anger, in jest, or in the wrong cultural aesthetic. Effective communication moves us beyond the water's edge of grammar and style and launches out into uncharted seas of context. Our culture is our context. Efficient communication—fast content delivery—is not enough. Cultural and religious tolerance is not enough. Being culturally responsive moves us beyond diversity compliance and into an actual understanding of and true appreciation for the wonders of other cultures beyond practical translation and into dynamic penetration of sociocultural intramurals. Intercultural communications concerns understanding and relating to other cultures without losing our own uniqueness. Being culturally responsive, culturally inclusive, involves both giving and getting: building genuine relationships across complex boundaries. You cannot be successful—in academics, in business, in relationships—without being culturally inclusive. Communication is powerful. It is life-changing. Emotional. Political. Spiritual. Social Communication resounds through our choices and decisions and through our ever-evolving relationships. Humanity is composed of people embracing a narrative. More than masterful articulation, communication concerns understanding the cultural accretions of people and those narratives and putting language to ideas. These are the essential keys to success in any organization or global relationship.